The haggling-shadow was cast over the automobile industry somewhere along its many decades of existence and has yet to fade. Getting a great deal is actually quite simple, though; Shopping for a quality pre-owned vehicle with high fuel economy ratings is a guaranteed, fool-proof way to save. Find everything you need without sacrificing or going over your budget when you shop with one of the leadingused car dealers near Boston. Check out Quirk Pre-Owned; where you dont have to haggle to get a great deal. Its not rocket science; when you combine great fuel efficiency with a high quality pre-owned vehicle you get unrivaled savings and value. Check out one of your favorite used car dealers near Boston, Quirk Pre-Owned, to browse our extensive inventory. We have a wide variety of fuel efficient vehicles, like 2013 Volkswagen Jetta and the 2013 Hyundai Sonata, which will continue to save you money long after the sale. Cars run on gas and gas costs money; therefore, its obvious that if you drive a vehicle that uses more gas in less time, that car is going to cost you more money. Quirk Pre-Owned offers high quality used cars that are incredibly fuel efficient, so youre savings are boundless. The 2013 Volkswagen Jetta is pretty much the budget-drivers dream come true. This four-door sedan has a sporty vibe and is eager to please. The 2013 Volkswagen Jetta runs on a diesel 2.0-liter four-cylinder engine that achieves a fuel economy rating of 30 mpg city and 42 mpg highway. This sedan is the epitome of a fuel efficient car. 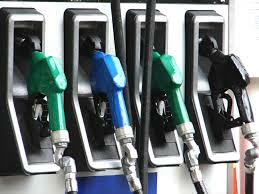 Youll stop to fill-up so infrequently, you may forget how to use the fuel pump. Another fuel efficient option available at Quirk Pre-Owned is the 2013 Hyundai Sonata. The sleek styling of the exterior allows this sedan to cut seamlessly through the air. Equipped with a 2.4-liter four-cylinder engine, the 2013 Hyundai Sonata gets 24 mpg city and 35 mpg highway. Fuel efficiency is the key to saving money while you shop, and while youre on the road. Check out Quirk Pre-Owned to test-drive a vehicle that takes your budget further. For more information about one of your favorite Boston are used car dealers or call us at (877) 466-1512, today!